Your pantry says a lot about you. Is it bare and basic? Bursting with temptations? Are there items that expired yesteryear? Or is it packed and labeled to perfection? 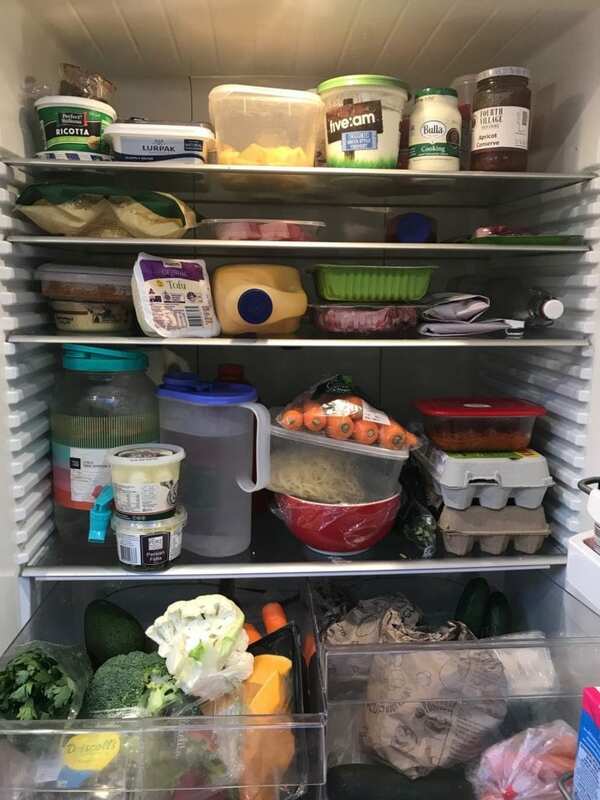 By no means is my pantry perfect – in fact, I don’t advocate perfection, but more often than not, having a well-stocked pantry (along with fridge and freezer) becomes a no-brainer when it comes to preparing healthy meals fast and easily. These foolproof steps will give your pantry a healthy makeover in no time. Rearrange. Peering into the depths of your cupboard can be scary. There are probably items in there that you haven’t touched in months. Be ruthless and start chucking. If you can’t bring yourself to ditch just yet, rearrange any temptations – chocolate, chips or biscuits – that can throw off your diet. Out of sight, out of mind! Build better foundations. Restock your pantry with the nourishing staples so you make less room for junk. Think dried legumes, wholegrains, canned tomatoes, heart healthy oils, nuts, nut butters, seeds, spices, rolled oats, wholegrain flours and crackers. If you’re not much of a chef or juggle a busy life, stock up on healthy ‘fast food’ like canned fish, beans or microwave-ready meals, such as brown rice or quinoa. Stock your pantry with these key staples and you’ll always have what you need for a quick, healthy meal. Smart snack stash. We all have those cravings that leave us rummaging for food so prep your kitchen with a healthy stash of snacks. The only limit is your imagination – cut up fruit, make raw nut slices, combine nuts and dried fruit, or whip up a tasty hummus or bean dip made with canned legumes and enjoy with chopped veg sticks or crackers. As long as you’re prepared, there will be no cookie jars to tempt you. Get organised. A little structure goes a long way. Group your pantry and fridge into an organised ecosystem that makes things easy to find (and stay on top of). Categorise things like snacks, cereals, lunch box fillers, spices, baking goods, and grains (rice, pasta, quinoa, noodles). Don’t be afraid to tip food into jars, snap-lock bags or tupperware and label clearly to gain a little more order. 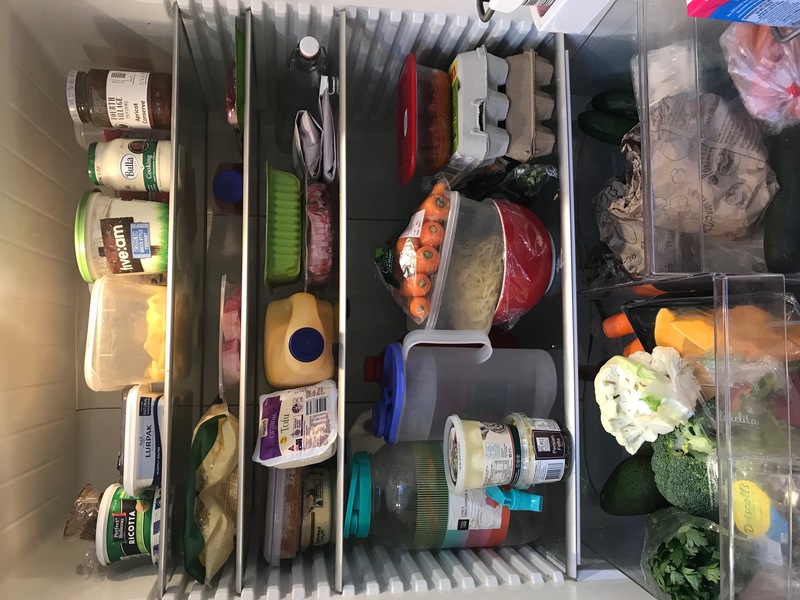 Sneak peek at my fridge. Say good bye to plastics. I’m currently working in this one. 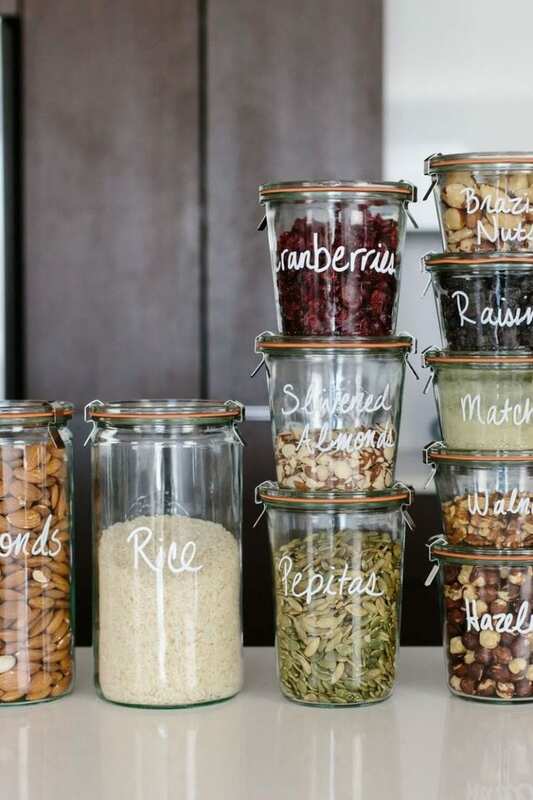 A truly detoxed pantry is one free from plastics. A lot of food packaging still contains Bisphenol A (BPA), which is a chemical used to protect food from contamination and extend shelf life. Although small amounts of BPA are safe, too much exposure has been linked to harmful health effects. So err on the safe side by re-packing your food in glass containers. I’m on a mission to swap all plastic containers for glass containers. It just make it look more pretty, and most likely to stay motivated to keep it that way.